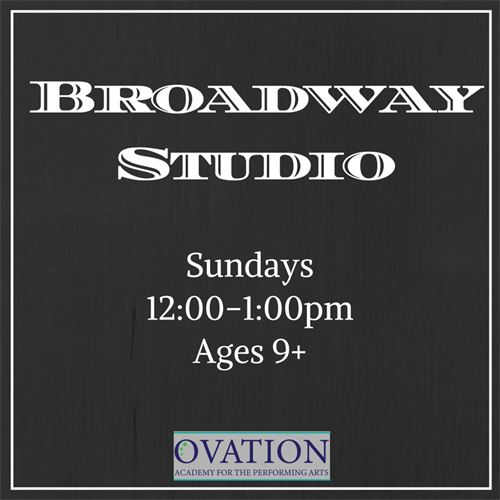 Broadway Studio - Nov 11, 2018 - Oak Park-River Forest Chamber of Commerce, IL ? In this intermediate class, students will polish their performance skills and expand their repertoire through CLASSIC Broadway musicals - West Side Story, 42nd Street, Gypsy, Bye Bye Birdie, Music Man... and more)!! In this fast-paced, high-performance level class students will hone and polish fundamental audition skills, such as picking up choreography quickly and assessing character backstories. This class is perfect for serious students looking to quickly improve their level of performance. It's never too late to join us! Want to try before you join? No problem, we offer one time drop-in classes.